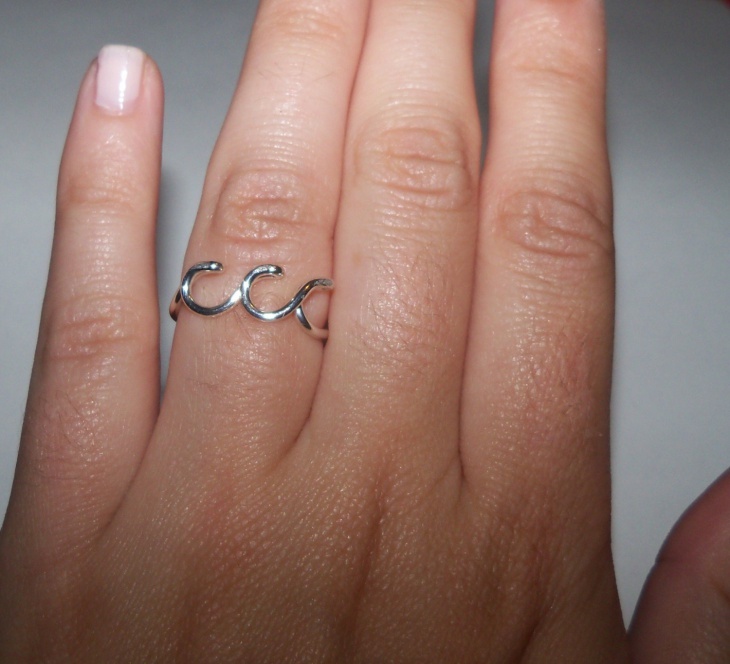 This ocean wave ring design features three ocean wave shapes made with a sterling silver wire. 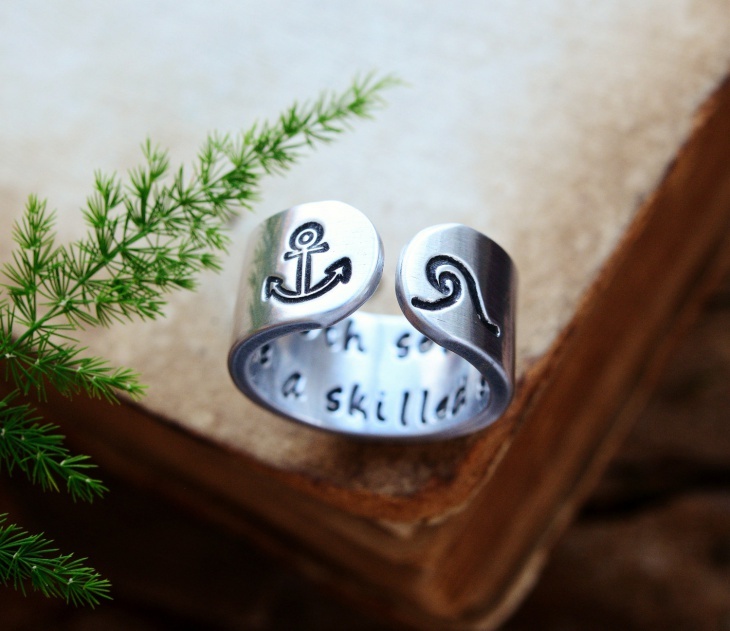 This beautiful ring is handmade in the United States. Click this link to know more. 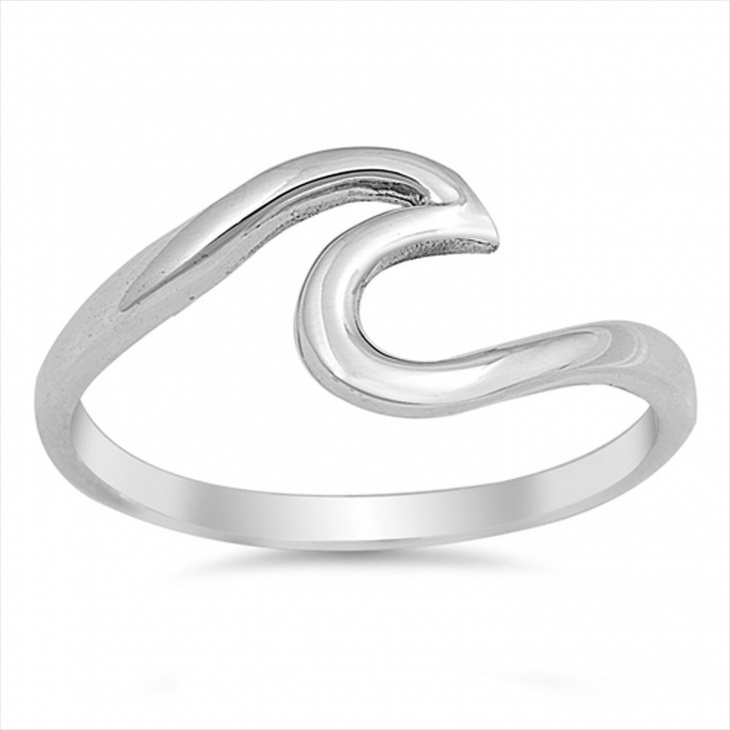 This wave wedding ring is a beautiful and elegant piece of jewelry. The wave shape is made of cubic zirconia and is gold plated. Follow this link to buy this ring. 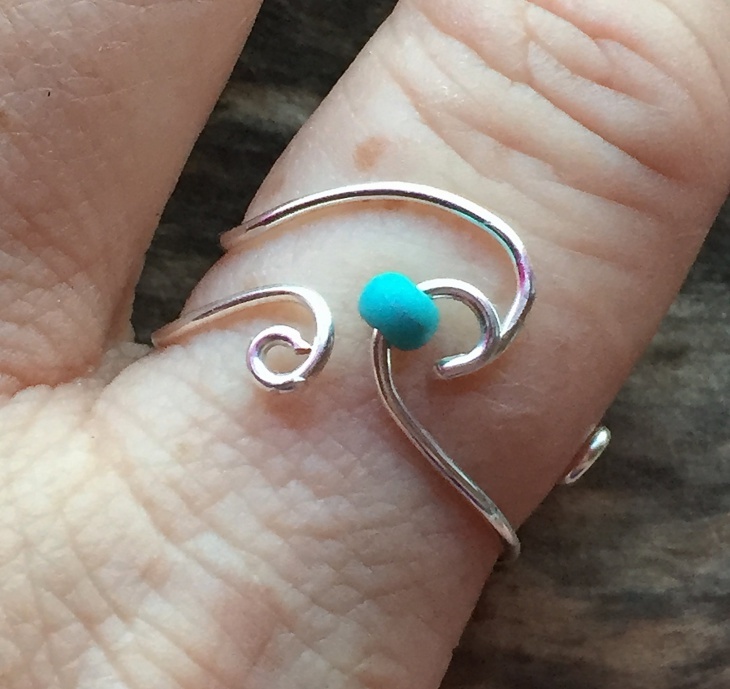 This beaded wave ring is a double wave ring featuring a small turquoise bead. The wire is made of 18-gauge non-tarnish, silver plated wire. Visit this link to find out more. 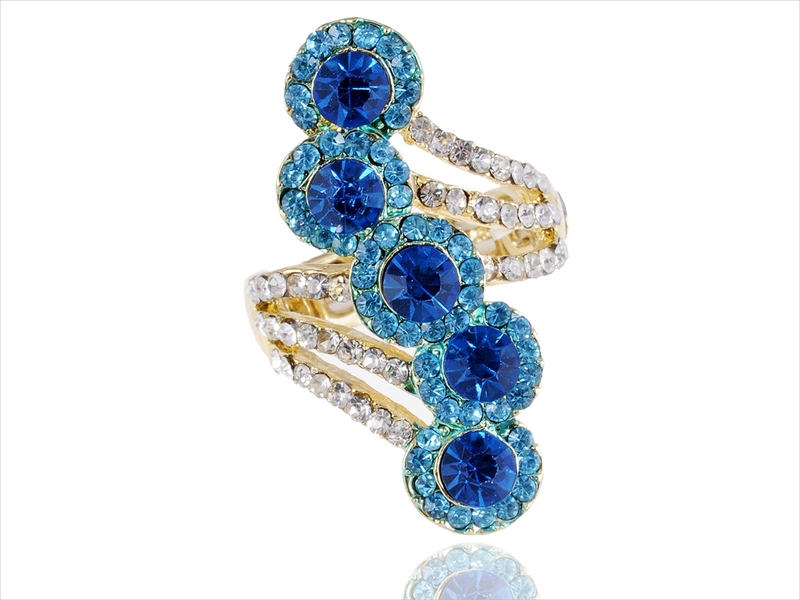 This blue wave crystal ring features high quality gems and crystal rhinestones. This beautiful and sophisticated accessory is a great gift option. Follow this link to get this ring. 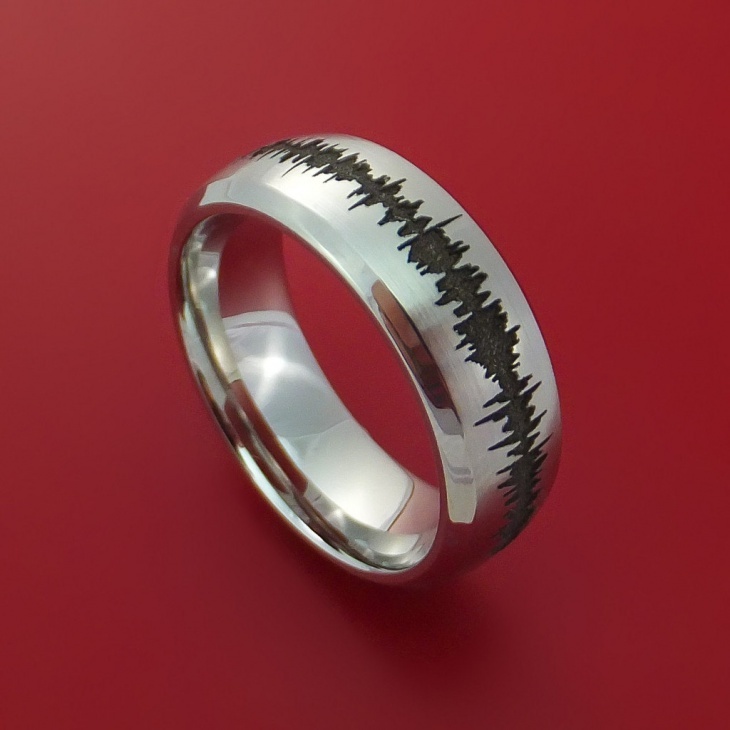 This sound wave ring is made of tungsten and shows a sound wave pattern on the outside. 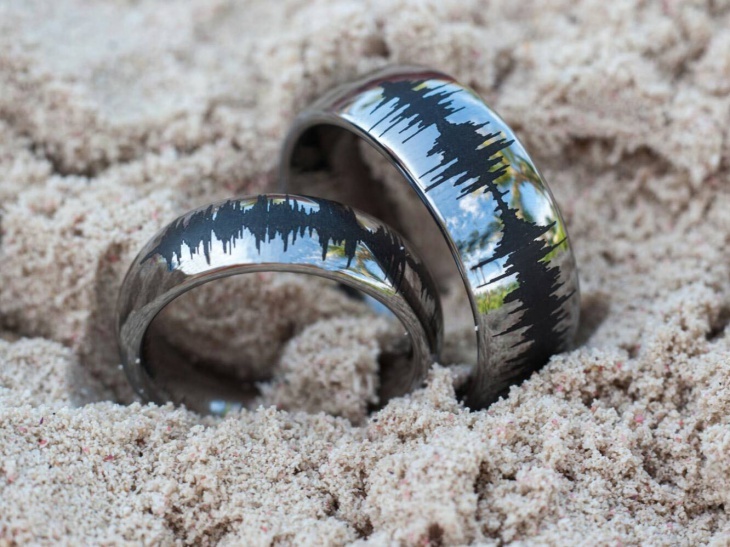 Buyers can record a message and send the sound wave image to the maker. Click this link to learn more. 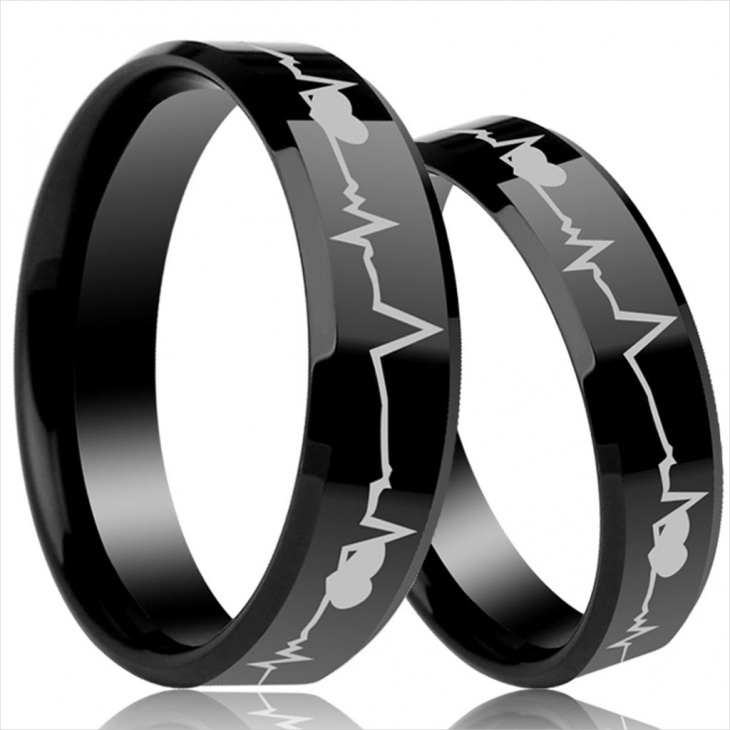 This heartbeat wave ring features heartbeat wave designs along with heart shapes. 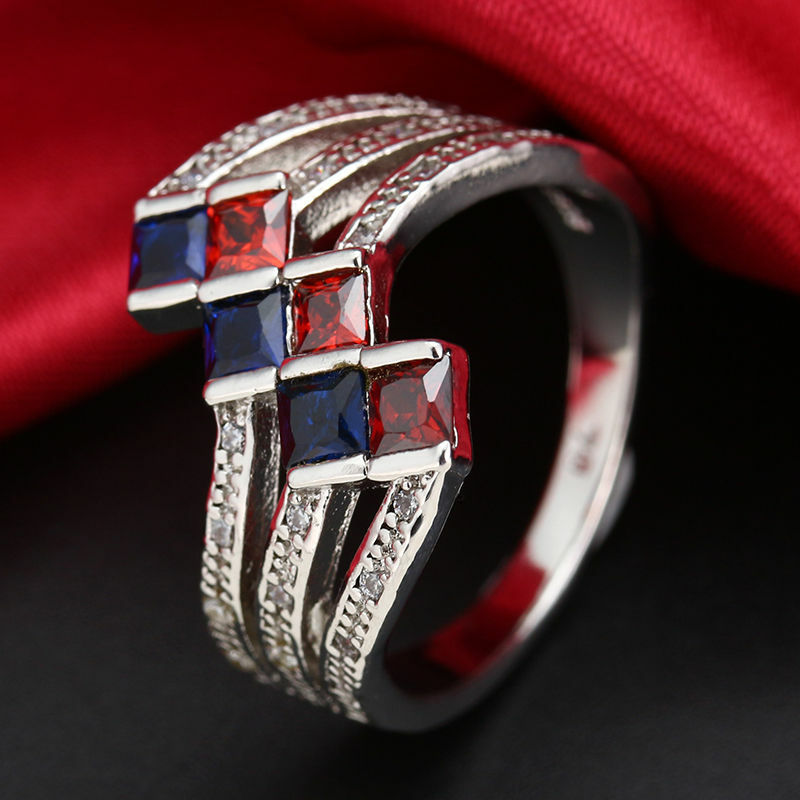 The ring is made of polished stainless steel. 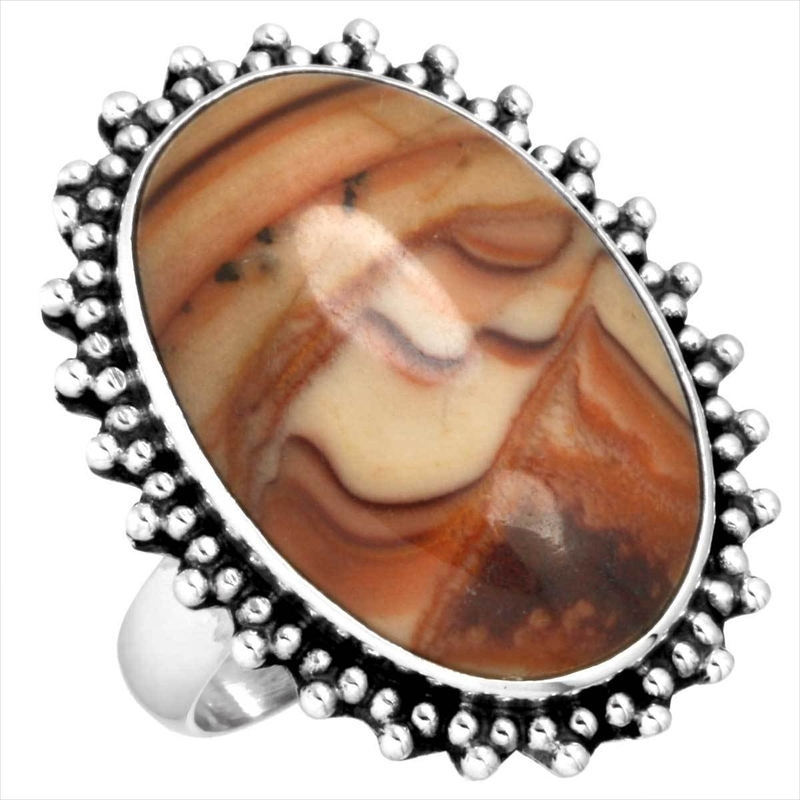 Visit this link to buy this ring. 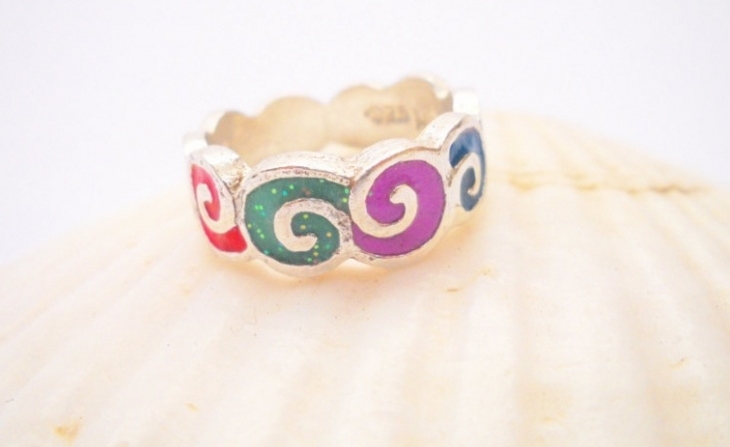 This rainbow wave ring design features colorful wave designs, handmade with sterling silver. This colorful ring brings the image of a rainbow. Click this link to find more details. 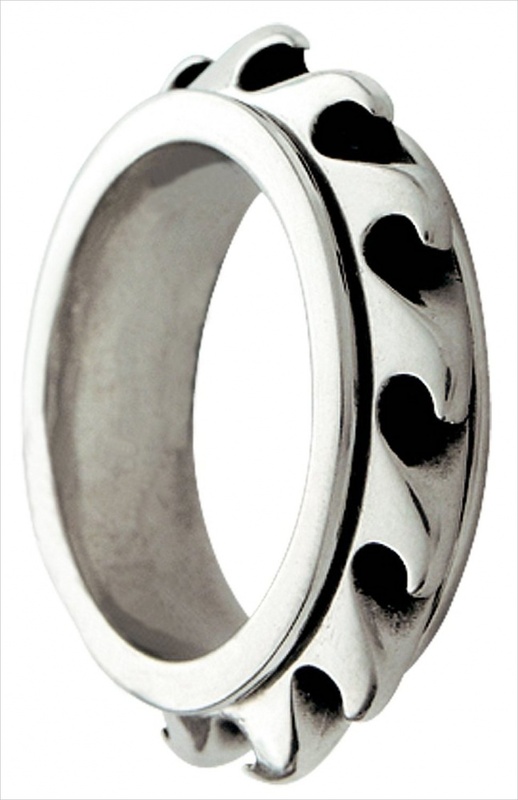 This rolling wave design is made of 925 sterling silver and features dolomite. Check out this link to proceed with the purchase of this ring. 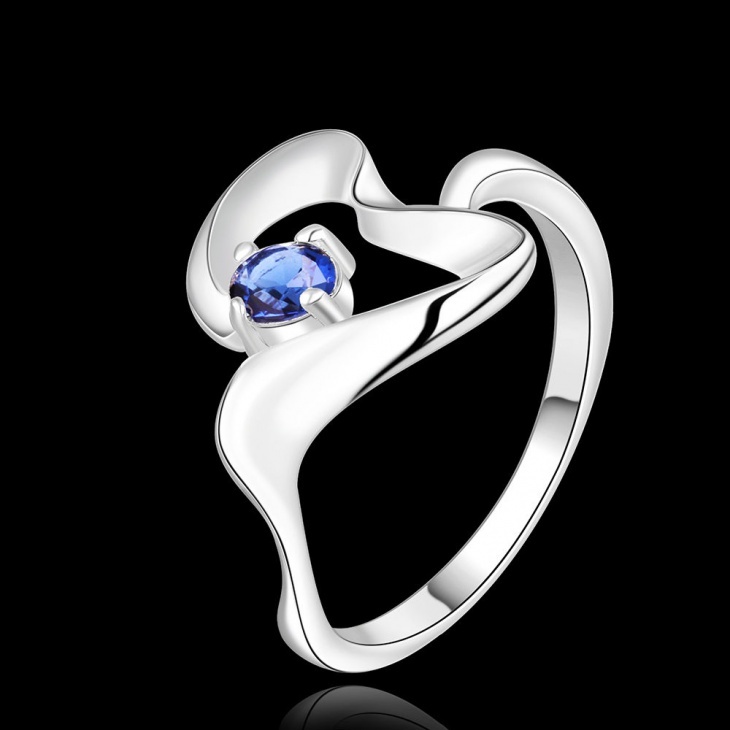 This sapphire wave ring is made of pure sterling silver using sand casting method. 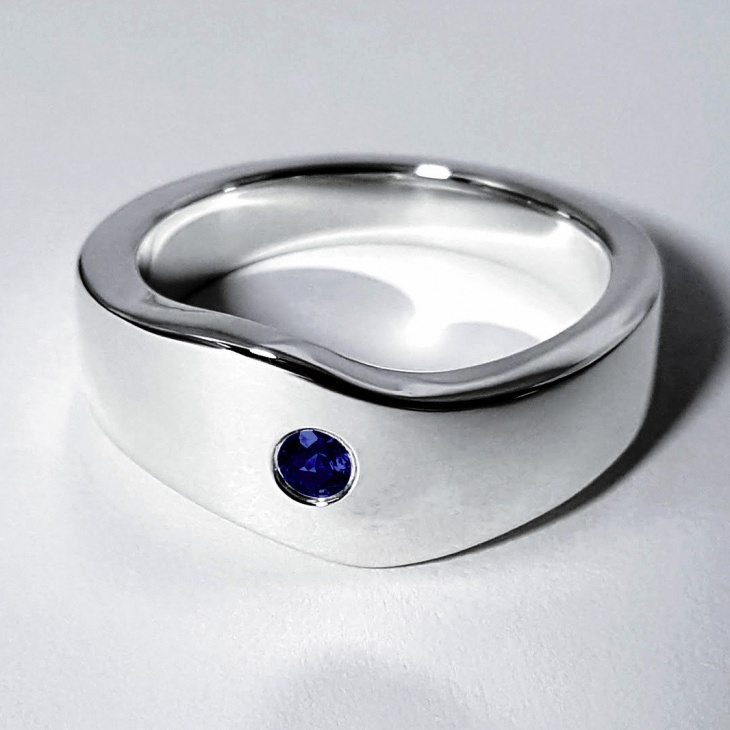 The ring features a 3mm blue sapphire. 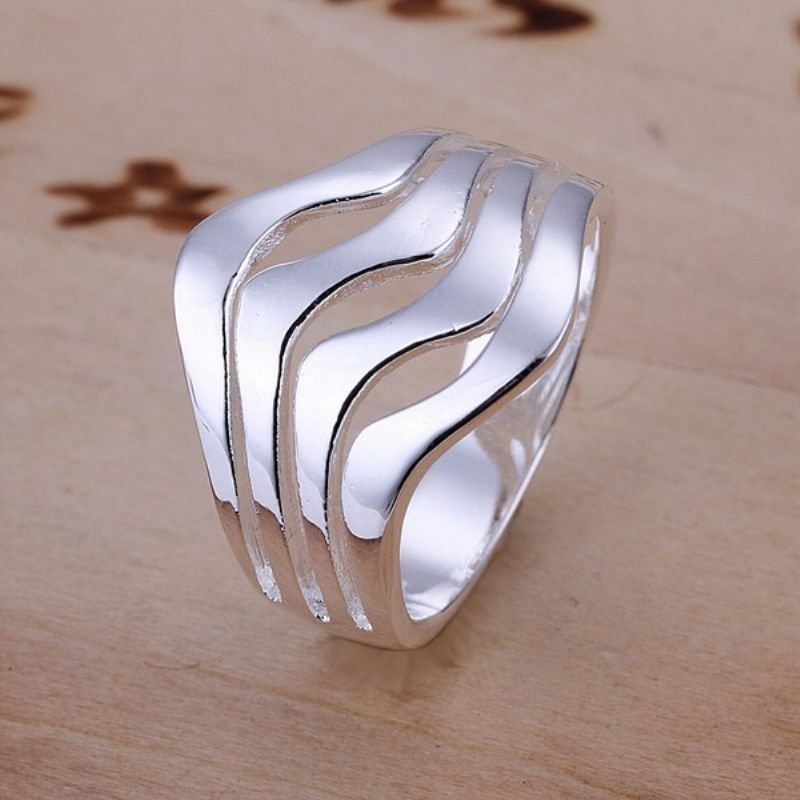 This spinning wave ring design is a two-piece spinning ring made of silver. The outer ring is free spinning. These were some beautiful wave ring designs that are worthy of a glimpse. 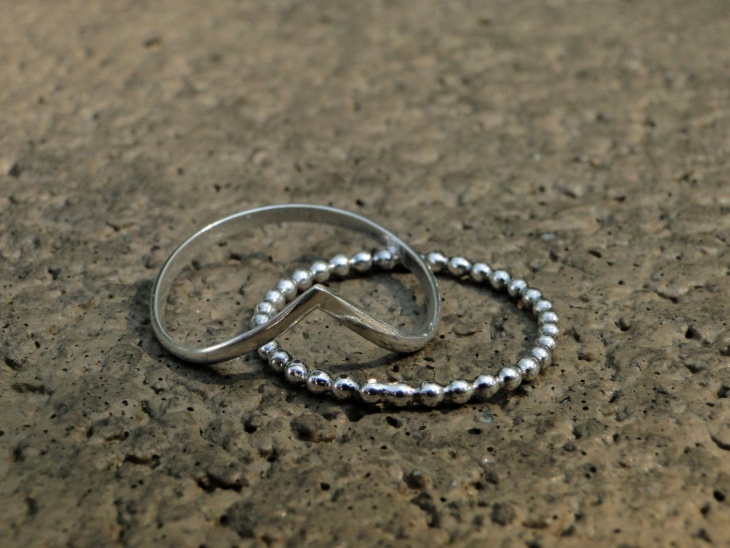 Wave rings have a special meaning and significance just like heart shaped rings. 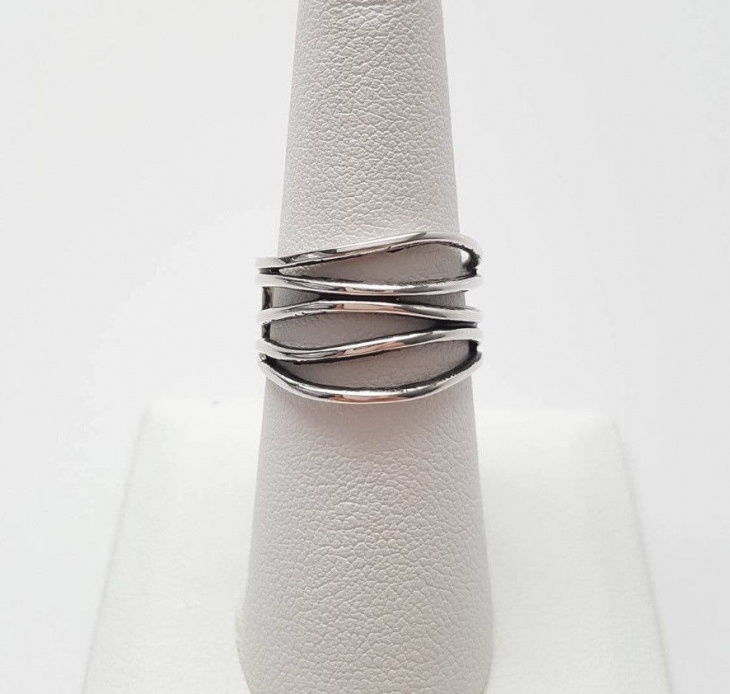 Platinum rings are also available in wave designs. Explore the designs and pick one that suits you the best. Happy shopping!